Size of this preview: 800 × 499 pixels. Other resolutions: 320 × 200 pixels | 1,680 × 1,048 pixels. 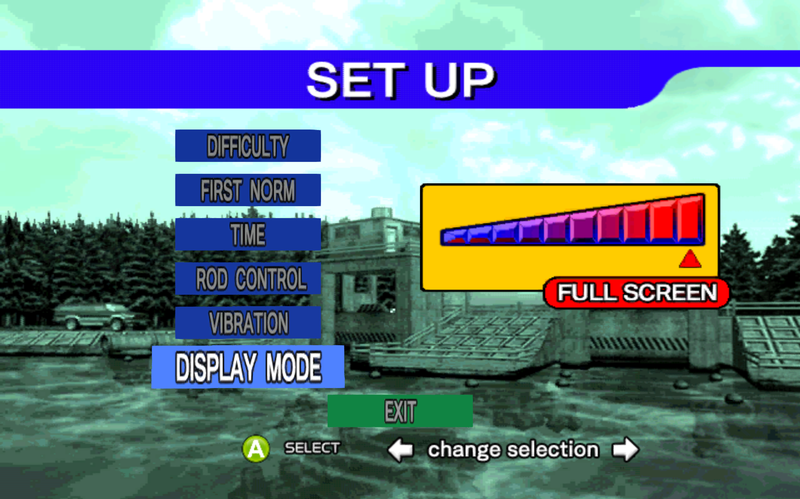 Sega Bass Fishing (Steam) in-game general settings. current 01:54, 21 February 2015 1,680 × 1,048 (1.16 MB) ThatOneReaper (talk | contribs) Sega Bass Fishing (Steam) in-game general settings. This page was last edited on 21 February 2015, at 01:54.